When it comes to clothes, make up, hair and events, summer is my favourite time of year. The heat wave has been lovely, lots of sunshine and spending time outside. Last Wednesday I was invited to the Princesshay’s Summer Party at Lloyds lounge. For those not so local readers, this is in Exeter. Which is a great place to visit if you are down this neck of the woods. 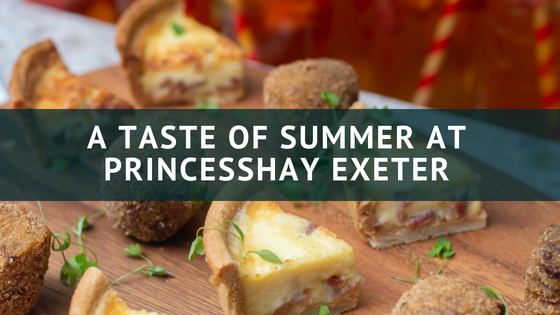 I was thrilled to be invited to the event, an evening of Pimm’s, canape’s, live music and pampering – and all in Exeter. On arrival guests were greeted by friendly faces and a choice of Pimm’s or a mocktail. I chose to have a nice cold glass of Pimm’s. 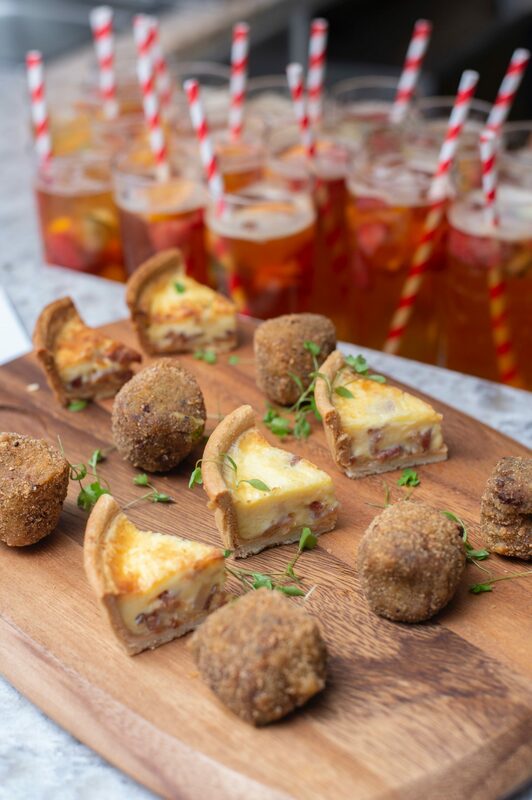 It was lovely to meet new people and chat whilst nibbling on very tasty canape’s. 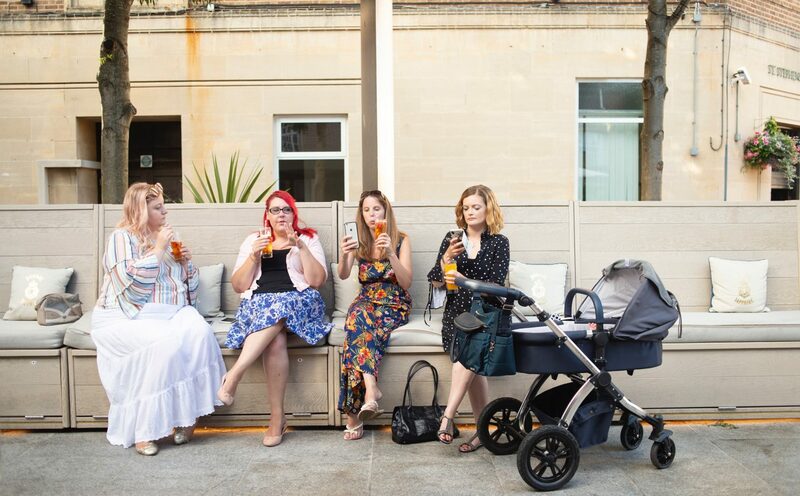 It was the first time I had been into Lloyds lounge and the decor is sumptuous and there is plenty of seating to cosy up to, top to floor windows and wonderful outdoor seating. I spent the evening chatting with a few Devon bloggers, which I really enjoyed. In true blogger style we are taking a photo of our drinks! 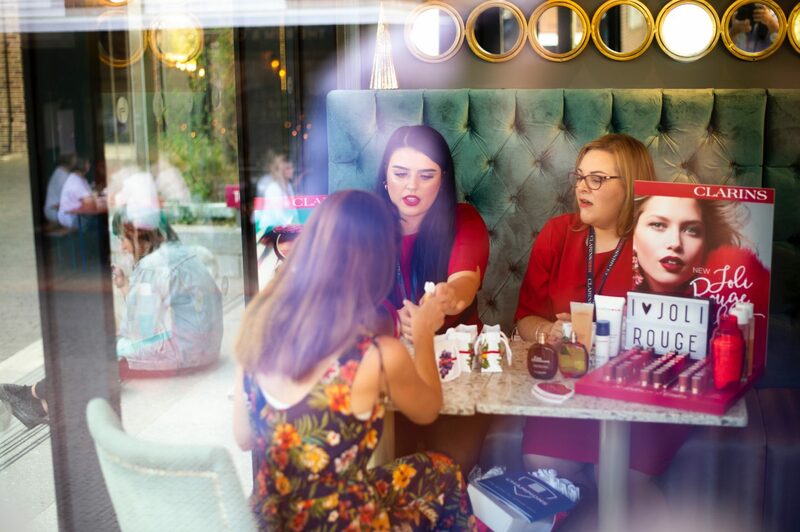 Guest were treated to pampering from Molton Brown, Clarins and award-winning Saks Exeter were on hand to chat about some summer styles and they were pampering guests with simple styles – lovely loose curls. However because my hair is ridiculously thick I didn’t subject them to curling my hair. I had a particularly lovely chat with two really friendly ladies from Clarins. I am a make up lover and I am always on the look out for new products. They introduced me to their Instant Light Lip Comfort Oil, a lovely gloss in different shades. I especially love the shades which react with your skins own ph upon contact to create a more intensified personalised colour. As a result of this chat I will certainly be adding a couple of shades to my make up bag.. I thoroughly enjoyed the evening. LLoyds lounge is lovely and I recommend stopping off there when you are next in Exeter. The event marked the start of all the wonderful events happening this summer at Princesshay. To keep up to date on what is going on keep checking the Princesshay Website. Thank you to Steve Hayward photography for the lovely photos.